UberAHEAD allows people to plan their rides ahead of time and match with other riders who go along the same path. When Uber was planning to launch in the Chinese market, its global ambition was hindered by its well-developed Chinese rivals Didi and Kuaidi. Similar to Uber in the US, these two companies are also legendary start-ups and emerging at a rapid speed in China. The majority of their target customers are young people in their 20s and early 30s, most characteristic of their lack of money and flexibility with time. Based on this observation, we decided to develop a brand new function for Uber, the UberAHEAD, which takes advantage of the most significant features of its target market, realizes optimization to benefit both Uber and customers, and most importantly, has not been discovered by Uber's Chinese rivals yet. UberAHEAD aims at young customers who are willing to provide great time flexibility in exchange of lower price. 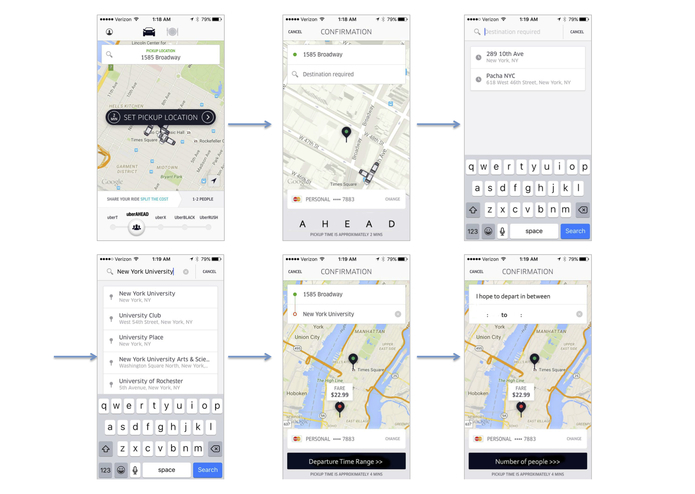 To request a UberAHEAD service, the user would also provide his range of time flexibility for departure, in addition to origin and destination. 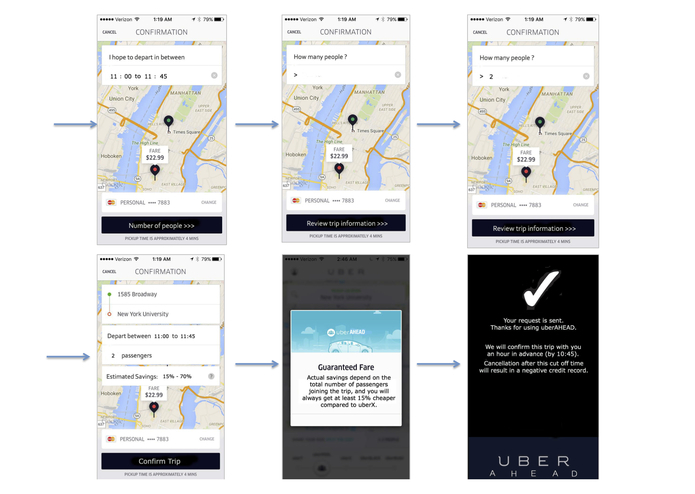 In return, the user is guaranteed a minimum of 15 percent discount compared to UberX. 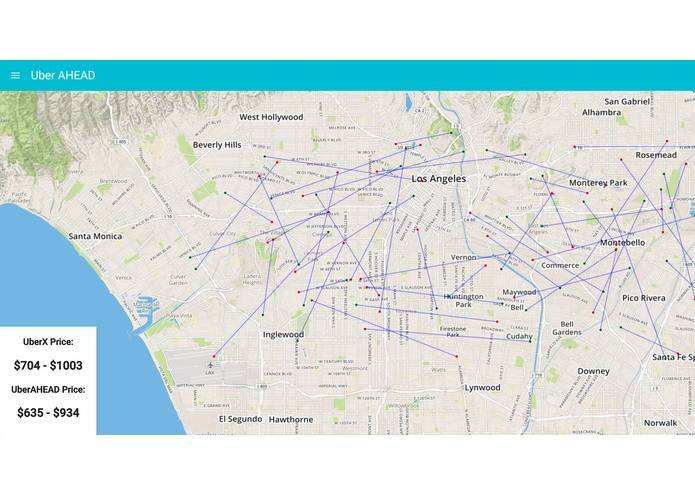 Our program, UberAHEAD, will calculate the optimal pairings of user requests based on time and location filtering, merge them and calculate the new routes. In this way, we can serve the most customers with fewest cars, provide the most satisfying prices, and still maintain our benefits.